The Holly Tree Resort, located in the heart of historic Cape Cod, is the preferred vacation destination of families, couples, and lovers! 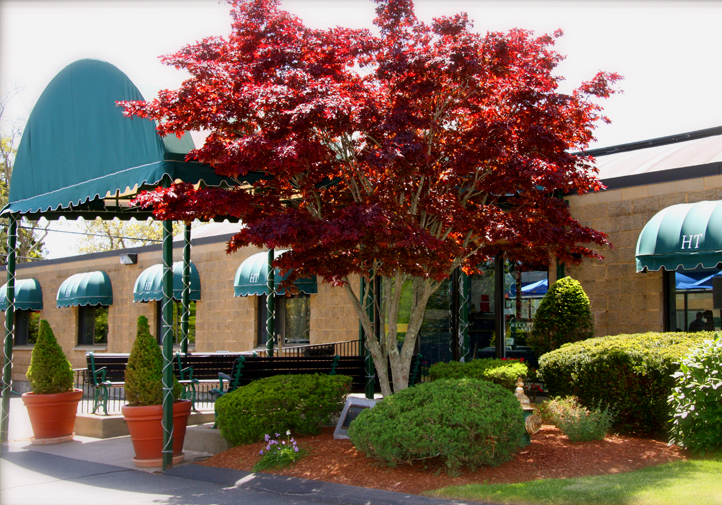 Holly Tree has everything you need to ensure a memorable Cape Cod holiday. If you are looking for fun in the sun and plenty to see and do, stay at The Holly Tree Resort … you’ll be glad you did! The Holly Tree Resort is your base for the enjoyment of “everything Cape Cod!” At the Holly Tree Resort, we offer a broad range of onsite amenities, such as swimming pools, hot tubs, and sports courts. But, venture off the resort and find everything you need to guarantee a memorable Cape Cod vacation. Beach access is just a few minutes’ drive, where you can swim, fish, sail or simply relax in the sun on Cape Cod’s famous and much-loved beaches. Also, you are located within minutes of Cape Cod’s famous villages: Provincetown, Hyannis, Falmouth, Chatham… where you can walk through history, admire architecture, and visit fashionable shops, gourmet-class dining, theatres, nightlife, and family attractions. At Holly Tree Resort, we emphasize guest satisfaction, so we assure a friendly, family style atmosphere and a staff that’s dedicated to making your Cape Cod vacation truly unforgettable. We offer Unit 157, Week 33 (mid-August), EVEN YEARS ONLY, Saturday check-ins. This is a one bedroom condo vacation rental located on the first floor. We also feature special one-off weeks. These rentals go fast, and the availability list changes often, so please check back. If we have none, so please visit our Cove at Yarmouth webpage as an alternative. Expedia shows the following “discounted” rates for these units: studio condo $978 and one bedroom condo $1471. You will save about 25% off when you rent from us! The one bedroom villa sleeps 4 people, and provides a king or queen bed in the bedroom and queen sofabed in the living room, and one or one and a half bathrooms. The efficiency studio unit sleeps 4 people, and features a full size murphy bed, a double size pull out sofa sleeper bed, and one bathroom. Each unit has a kitchenette, equipped with a refrigerator, coffee maker, toaster, microwave and tableware. You will find individual Heat/AC, telephone and TV/DVD player. The Holly Tree Resort has recently been thoroughly renovated, with all new interior furnishings and exteriors. Please visit the renovations update page to view restoration progress, or the model room page to see the new living, dining, bedroom, and kitchen furnishings. View select photos in the gallery at the bottom of this page or visit the resort’s photo gallery for a more complete package. High-speed WiFi wireless internet is available. Please click here to reserve and pay for your holiday rental with Paypal or credit card. The Holly Tree is conveniently located in the Mid-Cape area, making it easy to visit all of Cape Cod’s attractions, restaurants, and shops.